SRFD: How did you start getting into the producing business? Ashley: I had an uncle who was a producer and he took me to see Candid Camera at age 12. I was just fascinated with how many people it took behind the camera to have a show be successful. I started interning with my uncle for the MTV movie awards. I would do anything I could to be a part of that business, even if it meant being a coffee assistant. Finally, after graduating college, I started my career in daytime television. SRFD: How did you end up working with Martha Stewart? Ashley: At the time, I was working with Ali Wentworth and the Montel Williams Show for about a year. I got a call that the studio wanted to do a talk show with Martha in front of a live studio audience and I was instantly interested. I went for about four interviews and then finally got the call … at 25 years old! SRFD: I understand you were affiliated in working with Monogram while working on Martha… What was your role during that time? Ashley: I was one of the integrations producers- which is when we work together with ad sales teams – one of them being Monogram, that outfitted our prep and T.V. kitchen. We agreed to showcase close ups of the Monogram products throughout the show and have three or four integrations a year to deliver talking points about Monogram, but organically, that went along with the theme of our show so then it could relate to the consumers and what they were watching. SRFD: How did you transition into your design career that you’re in now? Ashley: After working for Anderson Cooper and Bethenny Frankel, both great, I just finally got fried with having no work/life balance for 13 years straight in New York. I decided to move back home to Connecticut but it was impossible to find T.V. work. Since I had won two Emmy’s, people always thought I wanted their job since I was “over-qualified” for the position I was originally going for. 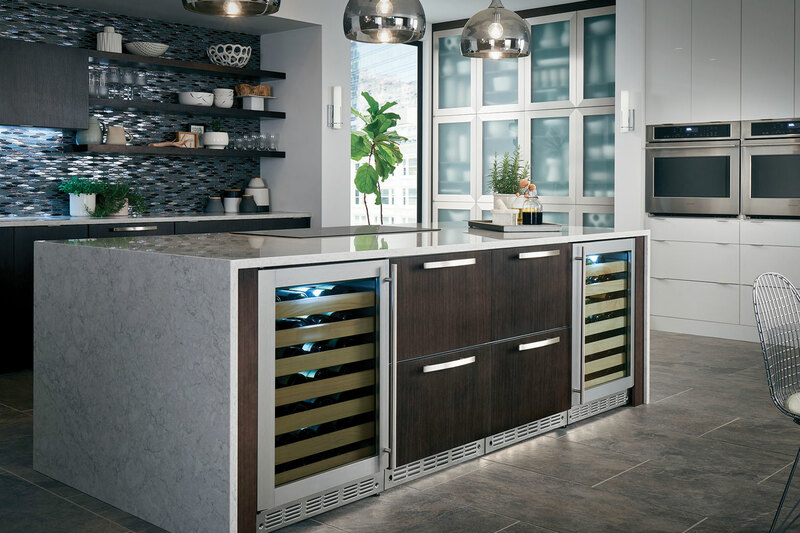 I had a family friend with a kitchen design company that wanted to launch a kitchen design network with an online magazine that features designer spotlights, brand directory. Lori Gilder and Rebecca Reynolds wanted to grow a strong video presence for their site and needed help. Rebecca also needed help with her design company, so I started off as more clerical but now I’m more involved with four different projects and am going to go back to school to further my education and career. SRFD: Has previously working with Monogram and Martha helped you in your current career? Ashley: Yes- being in a kitchen all the time on and off camera you need to know what the basic needs of a kitchen are. Especially being on television, everything is under a microscope so we had to make sure every detail was in place which involved a lot of kitchen development. Follow along with the Kitchen Design Network on Facebook, Instagram and Pinterest. ← We’re hitting the road again!